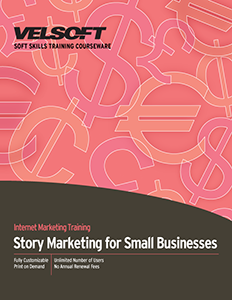 Seeing is Believing This sample manual to teach Story Marketing for Small Businesses is in MS Word format. Like all of our training material packages, you’ll get everything you need to train in one handy download. Take advantage of a free sample now!